Establishing and building a brand and its corporate positioning is no easy feat, especially for a brand that has the roots that Aptos does. 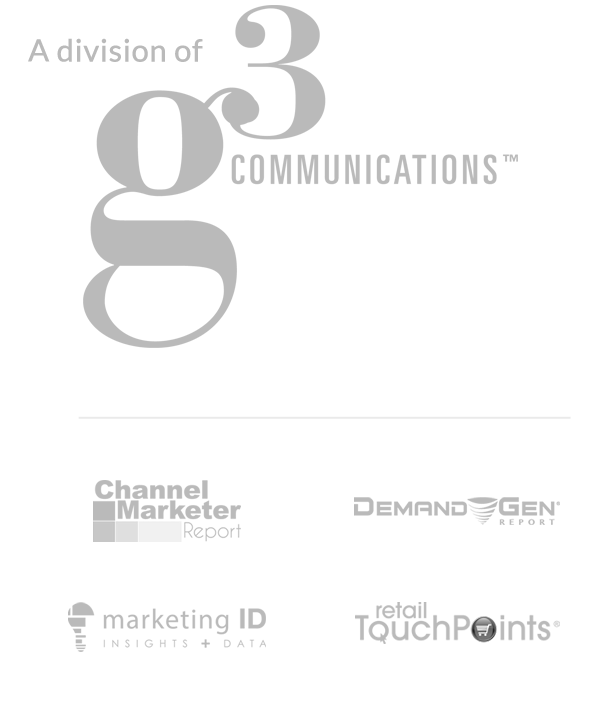 Just last year, the retail division of Epicor separated from the behemoth brand and became its own entity. 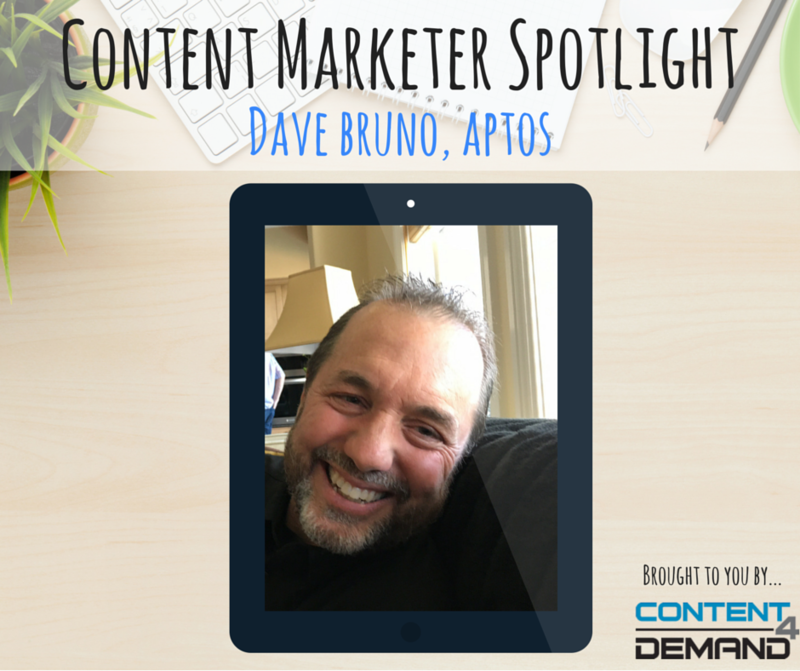 Over the past year or so, Marketing Director Dave Bruno has helped establish Aptos’ content strategy and expand its content toolkit to support demand gen programs. Dave, who has more than 20 years of experience in the retail industry, is what I’d call “an ideas guy.” He has a knack for knowing what matters to retailers and crafting fun and interesting content that connects with them on an individual level. His most recent project, Commerce of Caring, may be his best and most rewarding yet. What’s your favorite marketing blog and why? I still love Seth Godin. While not new and edgy, his blog delivers consistent value, and he practices what he preaches in every way. His posts are brief, impactful and easy to adapt into my day-to-day routine. What’s one of your favorite projects or campaigns you’ve worked on and why? Without question, our Commerce of Caring podcast series is my favorite project of my career. Being given the opportunity to work on a project that matters so far beyond the typical world of retail software is a rare gift in today’s market. I am honored to have the opportunity to tell the amazing stores of ordinary people doing extraordinary things for vulnerable kids around the world, and I am extremely proud of the production values we hold ourselves to when producing each episode. What’s the most important or interesting thing you’ve learned about content marketing? One thing I have learned, without question, is that the need for new, quality content is absolutely relentless. Keeping pace with demand is very challenging. But over the years, I have come to realize that the “secret” to keeping up is repurposing. I feel like it is mandatory that every piece of content is leveraged to its maximum potential. We don’t produce anything as a “destination” anymore. Every asset we purchase, produce or promote must be repurposed and reused in multiple ways. In our world, a simple PowerPoint presentation delivered to an analyst can become a webinar, an E-book, an infographic, a blog post, a byline and a SlideShare asset. What city do you live in, and what’s great about it? I live in Encinitas, California, a small coastal town about 25 miles north of San Diego. While it is a quiet town, it still has a respectable amount of food, culture and nightlife, and our beaches are some of the best on the West Coast. Plus, we often refer to Encinitas as the “yoga capital of North America.” As such, there are yoga studios everywhere, and you can grab a free class almost every day of the week. Our community very much embodies the “Namaste” culture. What’s your motto? “Wherever you go, there you are.” It’s a reference to a book written by Jon Kabat-Zinn about living like in the moment and striving for greater mindfulness in everyday life. Tell us something fun you’d like to share about yourself. I won my first FitBit via a contest promoted by Dr. Oz. I didn’t even know what it was when it arrived in the mail a few weeks after the contest ended. This was three years ago. Now I walk between 8 and 12 miles a day, my health has improved dramatically, and I have become a vocal advocate for the emotional and physical benefits of walking. Stay tuned for our next Content Marketer Spotlight in June!